Giving. The word holds much power. It denotes overcoming a very human instinct – that of wanting to possess. This week, India celebrates the biggest philanthropic event – Daan Utsav (Joy of Giving Week 2017) – to encourage, recognise and applaud the spirit of generosity. Time is valuable, irreplaceable commodity. Devote some time to people in need of your attentions, affections, advice or comfort. In a world that is rushing past quicker by the millisecond, with careers and aspirations taking the front seats when it comes to priorities, stopping by to give someone your time is a wonderful thing. Once gone, a moment is lost forever, so make the most of the chances you have today to make a gift of your time. Patience is a virtue. It is precious because it isn’t intrinsic, but needs to be cultivated. One of the biggest reliefs is when someone is patient with your flaws and shortcomings. Making an active effort to be patient, with oneself and with others, is a gift that not only brings success in the long run, but also contentment and happiness to oneself and others. To judge another is easy. It takes little mind and heart to do that. To empathise, though, is entirely difficult. Putting oneself in the shoes of another, understanding their motivations and empathising with them, even though one doesn’t agree, is a courageous thing to do. Much hatred and bigotry in the world comes from lack of empathy, so this is one gift that could be the key to a kinder future. The events that dominate public consciousness by means of news and information are largely negative in nature. In such times, trust doesn’t come easily. Being able to offer one’s trust to a fellow human being also means putting oneself in a vulnerable position. Those who take the risk and trust others, convey to people that they really care and are willing to go the extra mile for them. Iconic musical outfit, The Beatles, hit the right note when they sang, All You Need Is Love. The antidote to strife, violence, selfishness and despair most certainly is love. The biggest gift one can give to another is that of unconditional love. It leaps beyond the boundaries of time, distance, caste, creed, nationality, beliefs and religion and to create a magical experience for those giving, as well as those receiving it. As India celebrates the spirit of philanthropy with Daan Utsav 2017, we wish you avail the joys of giving by donating the material resources at your disposal, along with your time, patience, empathy, trust and love and spread the light! International Literacy Day, observed on September 8 by the United Nations Educational, Scientific and Cultural Organization (UNESCO), commemorates its 50-year anniversary in 2016. This day recognises the importance of literacy and promotes it through engagement on national and international levels. It is being celebrated under the banner ‘Reading the Past, Writing the Future’ this year. Being able to read and write enhances the promise of a brighter future and financial security. Literacy fuels the pursuit of education, which is a prerequisite if one has to make a mark in society and bring about a revolution. The ability to read and write instills confidence in people. The very act of being able to understand the written word and express oneself in writing is empowering, both socially and psychologically. 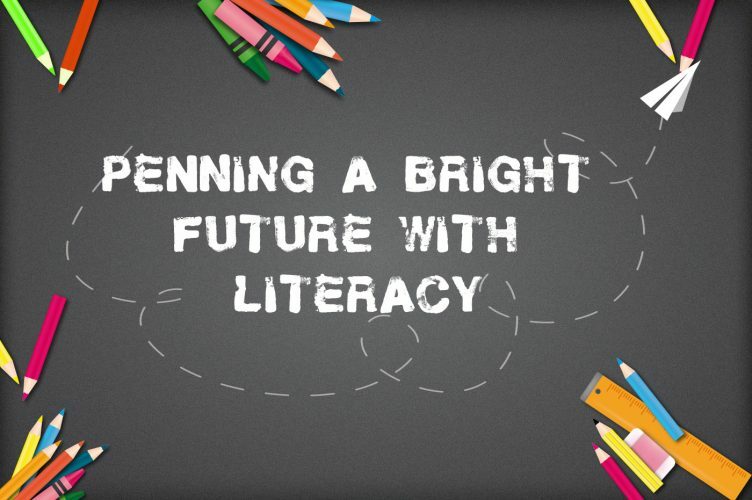 Literacy is one of the key cornerstones of a society that is conscious of its strengths and limitations and mindful of important happenings in the nation and the world. This enhances the public sense of social responsibility, powered by greater awareness. Perhaps the most magical part about being able to read and write is the pleasure of being able to become lost in books. Discovering new worlds, ideas, stories and philosophies expands one’s worldview and makes them appreciate the staggering diversity of thought and culture in the world. Literate, well-educated adults make it possible for a country to reach the summit of economic progress. This kind of development is inclusive, with equal growth opportunities for people from different socioeconomic backgrounds. Literacy can also help combat gender inequality – a major concern that needs to be addressed throughout the world. Let’s come together to educate the children of India. While this would help them in their personal growth, it will also take the country towards positive development. Donate for education in India today to support the cause. As we celebrate World Population Day on July 11, a fear that lingers in the mind of every individual is a recent report by the United Nations, which states that the population in India will cross the 1.44 billion mark by 2024. It is estimated to be more than that of China, which is the most populated country today. The Global Hunger Index released in 2016 by the International Food Policy Research Institute (IFPRI) rates India as a country with ‘serious’ hunger levels. It further states that about 15 per cent of the population of the nation is undernourished. Adequate food intake, both in quantity and quality, is missing. It is a well-known fact that a hungry child cannot absorb lessons easily. And with the growing population, eliminating hunger should start from the basic. It affects their cognitive development: A child’s faculties develop during early childhood. Its brain develops quickly. Without the right proportion of protein, nutrients and energy in its meal, the child’s cognitive development would be greatly hindered. Therefore, a nutritious meal plays an importance role in the child’s development. Increases behavioral problems: A hungry child can easily get irritated. They often face the feeling of being unattended to, may face several health conditions, would lead a stressful life, could face psychiatric distress and other conditions like depression, anxiety, withdrawal, and poor self-esteem. To raise a healthy citizen who would contribute to the positive development of the country, feeding them a wholesome nutritious meal is important. Harms body structure and confidence levels: It is common to find that an undernourished child weighs less than his or her ideal body weight when compared to the height. Hunger can even cause weight gain, as unhealthy fare seems more appealing when hungry — especially the foods that are high in sugar and sodium. Both these conditions, caused due to hunger, can hamper their confidence levels. They could feel the need to be confined to their comfort zones, which would affect their learning. Causes long-term health issues: Hunger leads to undernourishment, which impacts their immunity. Children who experience hunger are more likely to contract short-term and long-term diseases. This would force them to drop out of school or they might be absent for a longer duration. Increases school dropout rate: Due to unavailability of food, children are forced to go out and take up work to sustain themselves and their families. As they grow up, the job becomes the priority and they prefer to drop out of school. Increased efforts to reach out to all children, even in remote locations, can help us eliminate illiteracy due to hunger. Join us in our efforts to provide nutritious meals to children every day. Sponsor a child! Classroom hunger affects the health and future prospects of school-going children. This is an issue that needs all our collective efforts to be effectively tackled and eliminated. Wouldn’t it be wonderful to feed a hungry child and receive mental and material benefits from the act? We bet it would! 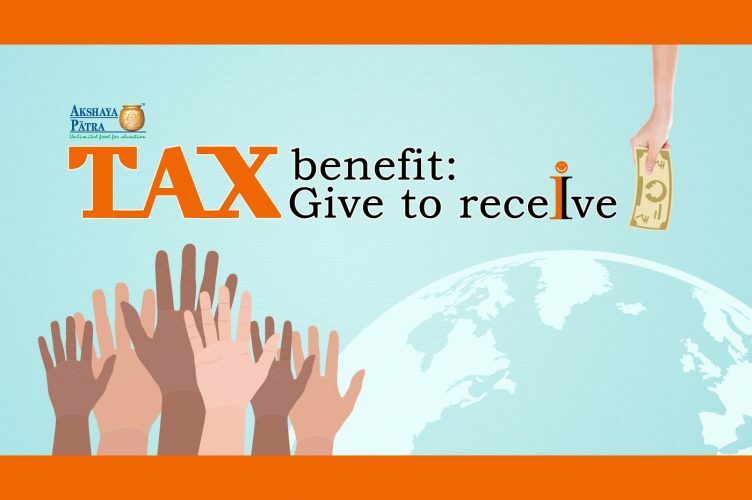 Donating to Akshaya Patra not only nourishes the children of the country, it also brings you a sense of great happiness at having done a noble deed and avails you tax exemption! The receipts acknowledging the donation will be sent to you within 10 days of making the donation – the tax certificate is generated within six days and reaches you within 10 days. The good Samaritans outside of India, who wish to donate to the Foundation need not worry either. 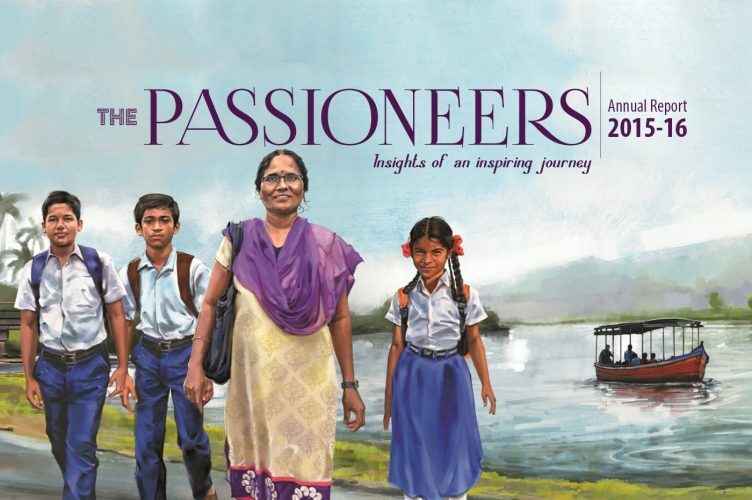 The recently-released Akshaya Patra Annual Report for 2015-16, titled The Passioneers – Bound By Purpose. Driven By Passion, upholds a long tradition of the Foundation’s creative excellence in financial reporting. For the past few years, the organisation has been winning prestigious international and national awards for its highly creative, theme-based presentation of financials. The report this year takes people behind-the-scenes to paint intimate portraits of the faceless people who make the organisation. It includes engagingly told stories of members from different arms of the Foundation – kitchen staff, drivers, security guards and more, with wonderful graphics and illustrations. At the 2015 Hermes Creative Awards, Akshaya Patra’s annual report for 2014-15, titled Giving Every Dream A Chance, won Platinum – the highest honour at the awards. The theme for the report was the organisation’s eponymous initiative – Giving Every Dream A Chance, which sought to encourage the dreams of the Foundation’s beneficiaries through month-long mentorships. It included beautiful, surreal, monochrome snapshots of the dreams of three children – Shivu – the aspiring astronomer, Manjula – the debuting actress and Shekar – a chef in the making. These spoke of the starry dreams of these young kids and the joy their mentorships under renowned experts brought them, along with a chance to showcase their newly-learned skills and knowledge. This report also won Gold at the League of American Communications Professionals LLC (LACP) 2014-15 awards. 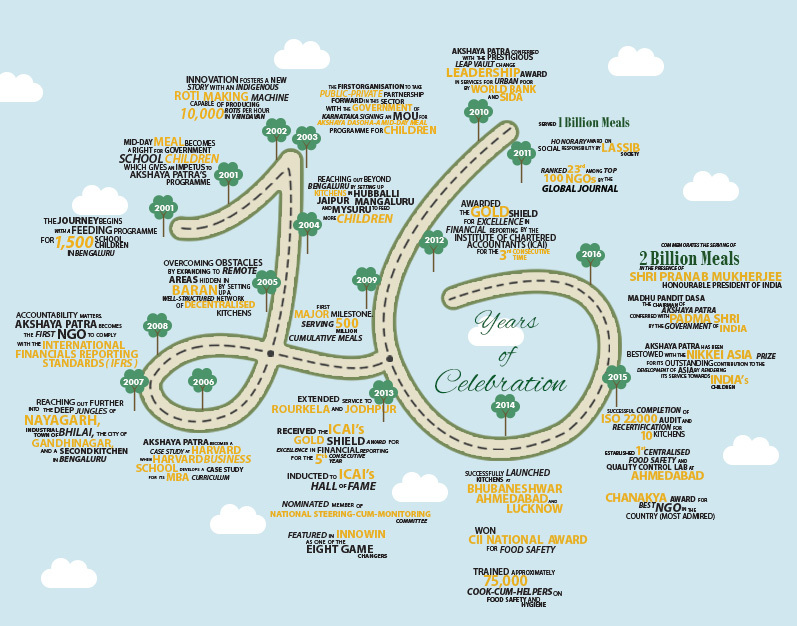 The Foundation’s much celebrated annual report for 2013-14, titled The Fab Five Superheroes, presented in comic-book style, told the story of its origins and tales of five of its beneficiaries. These young guns were Badal, Vinayak, Ambika, Munna and Mamatha. This unusual, original and highly imaginative annual report won multiple awards, including an Award of Excellence at the 21st Annual Communicator Awards; Gold at the LACP 2013-14 and a Silver at International ARC Awards. Similarly, the 2012-13 annual report won Gold at the 44th Creativity International Print and Packaging Design Awards. This report was designed as a child’s scrapbook! Over the years, the Foundation’s award-winning annual reports have become illustrious examples of originality. They are testament to the fact that presenting the yearly highlights and financials of an organisation can be fun, imaginative and push the boundaries, without losing any of their seriousness. The ‘much-awaited’ tag that has been attached to Akshaya Patra’s annual reports is fully deserved! You can read and download the latest annual report right here. The betterment of society is a collective responsibility. Individuals and organisations who have the means to make contributions to worthy social causes, entrust non-governmental organisations (NGOs) to make effective use of these contributions. After the end of the year, the NGO annual report details all the happenings and highlights of the year. It not only gives an insight into the workings of the NGO, but also its financials in intricate detail to ensure that every penny is accounted for and communicated to each stakeholder in the organisation. The report also outlines it short-term and long-term goals, lays out a roadmap for the future and lists its accomplishments and aspirations. The Akshaya Patra Annual Report for 2015-16, released recently, is based on a unique theme. This year, the report, titled The Passioneers – Bound By Purpose. Driven By Passion, celebrates the dedication and toils of the people working behind-the-scenes – the ones who are the wheels and levers that keep the Foundation’s machinery, both material and metaphorical, working smoothly. These include the kitchen staff, security guards, drivers and various other arms that hold up the Foundation and carry it towards its milestones and missions. The report has a touchingly personal feel to it, as employees recount their personal journeys in the Foundation and how it has empowered them. The year 2015-16 saw Akshaya Patra celebrating a big milestone – the serving of 2 billion cumulative meals since inception. Also, its Chairman, Shri Madhu Pandit Dasa, was conferred the Padma Shri, India’s fourth highest civilian award, by the Government of India. The road ahead for the Foundation is one with a clear vision and mission – feeding 5 million children by 2020. The annual report is a tool for all stakeholders to look to the future through Akshaya Patra’s eyes and see it as imagined by the Foundation. It allows them to be a part of this journey, understand the many ways in which it expects to grow and how they can effectively contribute to bring about this growth. The Passioneers, thus, is not merely a report card of the Foundation. It is also a celebration of the emotional investment and passion that drives the Foundation. Do give it a read here! Millions of children across India are nourished with Akshaya Patra’s mid-day meals every day. These meals are purely vegetarian, including a plethora of vegetables, pulses, legumes and nuts, calibrated to provide adequate amount of nutrition to children. The Foundation’s commitment to vegetarianism stands firm, as the world discovers the many benefits of plant-based diets. These include the obvious health benefits (since the foods are rich in vitamins, minerals, proteins and antioxidants, among other nutrients), along with a positive impact on the environment. So, what are these benefits that come with consuming food items from the plant kingdom? The base of good health is laid in childhood, with a robust diet and adhering to plant-based eating habits can be richly rewarding. Firstly, a vegetarian diet has been proven to reduce the risk of Type 2 Diabetes. It also aids weight loss and metabolic control. Another significant advantage of including food items sourced from plants is its positive effect on cardiovascular health and prevention, reduction and even reversion of heart disease. Vegetables with high fibre content, along with minerals and vitamins, help prevent the clogging of arteries and reduce stress. Plant-based diets also score high on the impact they have on the environment. A study published in the science journal Nature by scientists from the University of Minnesota in the United States of America stated that plant-based diets could reduce agricultural greenhouse gas emissions across the world and lessen the impacts of climate change driven by food production. The Akshaya Patra Foundation recognises this and has always gone the extra mile to be greener – it has undertaken the task of installing biogas plants and solar panels at its kitchens across India, making use of renewable energy to prepare its meals. Additionally, vegetarian diets are more sustainable compared to its alternatives because plant-based agriculture isn’t as resource-intensive as other forms of agriculture. 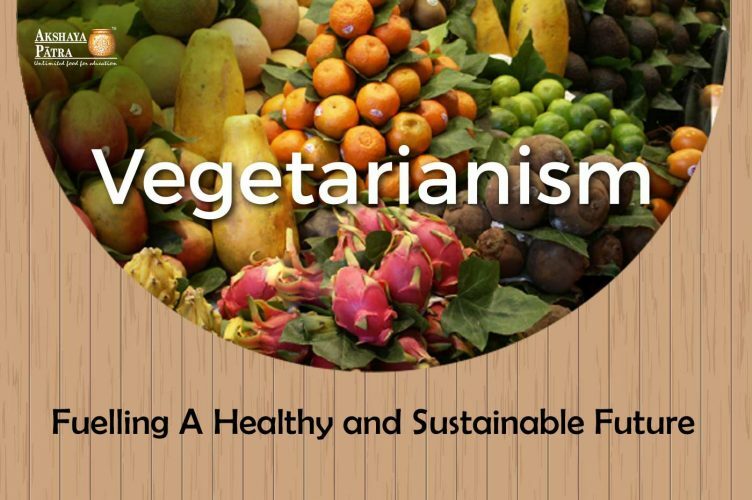 The world is embracing vegetarianism with renewed vigour and as more benefits of plant-based diets are revealed, it is becoming a movement that gathers momentum with every successive year. Akshaya Patra’s beneficiaries love the tasty, healthy vegetarian fare served by the Foundation, which fuels their dreams each school day. To make sure that they receive these nutritious mid-day meals every day, contribute to the cause of Food for Education here. Children’s Day is approaching and we couldn’t be happier! School Children have been our focus through 16 years of Mid-Day Meal Programme. We welcome you to celebrate Children’s Day with our 1.6 million Akshaya Patra beneficiaries! Childhood – a time of innocence, frolic and carefreeness. The realities of life are at a safe distance, as a child’s world is cocooned by elders and unmarred by experience. A day like Children’s Day is a wonderful occasion, devoted to the most celebratory phase of one’s life. While the colours of childhood are always bright, the land beyond the mountain – adulthood – always holds much fascination to the young mind. Akshaya Patra’s beneficiaries are no different – their kaleidoscope of dreams for the future shining through in varied hues. Pithali from Assam loves dramatics and dreams of becoming an actress in Assamese movies. Hailing from Khudradadhi, Assam, this lady also wants to travel the world with her family of five, which includes her father, a seasonal mason; her mother, who stitches beautiful mekhela chadars (Assamese garment) and siblings. Then, there is Rohit from Vrindavan, who wants to be a professional Kho-kho player when he grows up. Now that’s an interesting choice! In a village on the outskirts of Jaipur, there’s Salim, whose father owns a transport business. They use their donkeys to transport construction material and other heavy equipment. Salim wants to take over this family business, so that his father can retire and relax at home, after all, the hard work he has put in over the years. Down South, in Bengaluru, there’s Madan, who wants to serve the country by joining the Indian Administrative Services (IAS). He takes inspiration from the late IAS officer DK Ravi, whose personality and intelligence he ardently admires. Chetan from Surat, whose family migrated to the city from Amravati in Maharashtra, wants to contribute to cityscapes by becoming an architect and designing tall buildings. Zinkal, from the city of Ahmedabad, wants to be the face of girl power and join the army to defend the nation. This is a dream that her family too has for her, which she wants to fulfil after growing up. She is an avid sportswoman, interested in track and field events like the long jump. Akshaya Patra’s meals thus fuel the dreams of its beneficiaries. The organisation also took up a special initiative – Giving Every Dream A Chance – to bring a few of its beneficiaries a step closer to their dreams, by launching month-long mentorship programmes for them, under the guidance of experts. 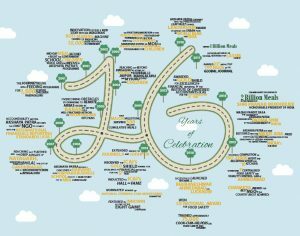 As India celebrates the spirit of childhood and all its children this Children’s Day, the Foundation, which only recently celebrated its 16th birthday on November 11, reaffirms its commitment to secure the futures of millions of children across India with unlimited food for education. Fan the dreams of school children this Children’s Day. Contribute to strengthening their future. The Akshaya Patra Foundation turns 16 on November 11, 2016. Through the years of Mid-Day Meal Programme to feed school children in India, the organisation has grown in leaps and bounds; we have built sustainable kitchens, expanded our beneficiary base, extended help during natural disasters, and we will stride towards feeding 5 million children by 2020! 16 years and 16 lakh children! 16 years ago, Akshaya Patra began a journey that would one day become the world’s largest NGO-run feeding programme. Mid-Day Meal Programme – Unlimited Food for Education, started with a beneficiary base of 1,500 children and today, over 1.6 million children across the length and breadth of India are supported by this initiative. During all these years of transforming the lives of many children through quality food, Akshaya Patra has also created diversified work opportunities for many individuals who plan and execute our programme on a daily basis. In the last few years, Akshaya Patra has overcome many challenges and continues to grow with support from the government, benevolent donors and well-wishers. Our school lunch programme is meant to eliminate classroom hunger and encourage children to attend school. However, mid-day meal is more than just an incentive. It fills the gap of having to choose between education and work. With the help of donors, Akshaya Patra organises health check-up camps in beneficiary schools, distributes hygiene kits, school shoes, bags and other essentials to children. To ensure effective operations of Mid-Day Meal Programme, the Foundation also conducts training programmes for kitchen and operations staff on a regular basis. Akshaya Patra’s 16 years of relentless efforts began with determination and compassion. We believe this journey will continue to impact many more children in the coming years. This year, as we complete the serving of 2 Billion Meals, the Foundation acknowledges the outpouring support it has received over the last few years. Let’s make children our priority and ensure they receive the two most important elements that can define their later years – education and health.